Japanese Nostalgia Cars and Drifting, nothing wrong with putting two of J-Ban's favorite things together on one show! Ben Hsu from Japanese Nostalgic Car Magazine will come on first to talk about Classic Japanese cars, trends in the Nostalgic side of JDM, and how the Classic cars of the USA and Japan Compare and Contrast. 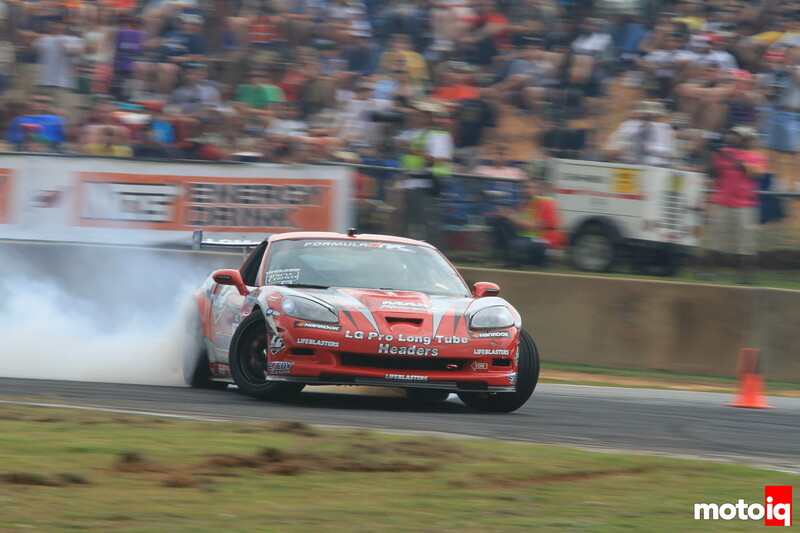 Then we'll have Formula Drift Driver, Luke Lonberger come on to talk about his Day Job at Blu808, his drifting Corvette, some ideas to help drifting in NorCal, and what 2013 has in store for him and the guys at Blu808. Finally, we'll talk with Formula Drift about the Hurricane Sandy Disaster Relief Fundrasier that will take place next Thursday at Irwindale Speedway. Old cars and Getting Slideways on MotoIQ Radio! 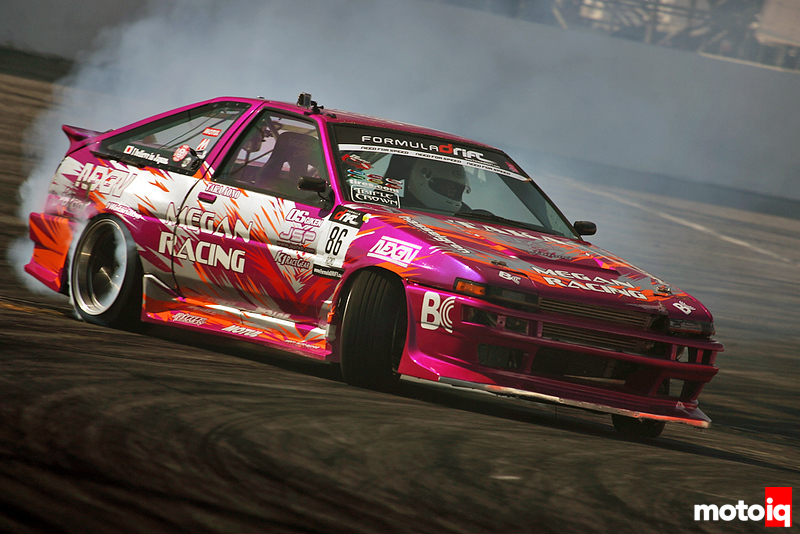 7:00pm – 8:00pm PST – You can't get more classic than the 1985-87 Toyota Corolla with Chassis Code AE86, as Taka Aono drifts in Formula Drift. Why did I choose this photo? Because we will be talking to Ben Hsu of Japanese Nostalgic Car Magazine about these classic Japanese cars. We'll also discuss what makes a car Nostalgic, tips on picking the right car, trends in the Nostalgic side of JDM, and how the Classic cars of the USA and Japan Compare and Contrast. If you have Nostalgia Japanese Car questions, Ben is the man to ask! 8:15PM – 8:45PM PST – Now we'll really get into drifting with Blu808's Luke Lonberger and discuss what it's like drifting a Corvette and why he chose it. Then talk about his garage, Blu808, and how drifting has helped his business. What he feels 2013 has in store for Blu808 and his Formula Drift Career. Finally we discuss drifting in NorCal and see what plans are to help spread drifting in the northern part of California. 8:45PM – CLOSE PST – The Final session of the show will be an interview with officials from Formula Drift about their Hurricane Sandy Disaster Relief Fundraiser at Irwindale Speedway on December 13. We'll see who's going, who will benefit, and how you can purchase a ride-along! That's right and if you want more information, you'll have to tune in! Tune in to MotoIQ Radio this Wednesday, December 5th at 7pm PST/10pm EST and hear the finest in automotive entertainment with your hosts, Justin Banner and Kerryann De La Cruz! As always, we will be using Livestream this week! Industry Insider- We Visit Turn 14 Distribution! Project Scion FR-S- Testing Greddy’s Cold Air Intake!